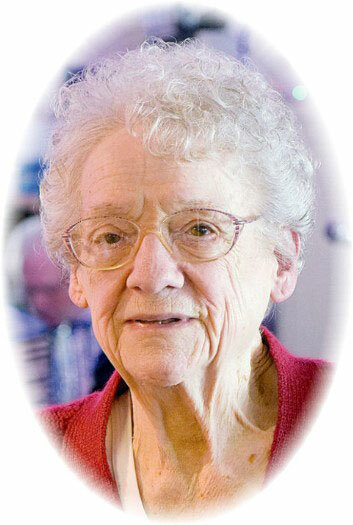 Viola (Vi) Frances Lang, 89, of Tiffin, died at 8:58 p.m. Monday, July 23, 2018, at St. Luke’s Hospital, Maumee. She was born Dec. 19, 1928, in New Riegel, to Raphael J. and Theresa R. (Brickner) Lang. She is survived by many nieces and nephews; and a sister, Jean Decker of Fostoria; her longtime friend, Ruth Frisch of Tiffin; and her niece and personal caregiver, Theresa Lykens of Tiffin. She was preceded in death by her parents; three brothers, Earl, Marion “Pete” and Marvin Lang; and a sister, Alma Steinbaugh. Vi attended New Riegel High School; and she touched the lives of more than 1,000 students in her 50 years of teaching many different types of guitar, as well as accordion in her Tiffin and Fostoria studios and in her home. She also drove school bus for 20 years for the School of Opportunity, touching more people with her compassion. She was a member of St. Joseph Catholic Church, one of the founding members of the IML, International Music League, and an avid genealogist. Vi also opened her home to many friends in their time of need. Visitation for family and friends will be 3-8 p.m. Friday, July 27, 2018, at Traunero Funeral Home and Crematory, 214 S. Monroe St., Tiffin, OH 44883, 419-447-3113. Her funeral will begin at 11 a.m. Saturday, July 28, 2018, at the funeral home. The Rev. Joseph Szybka will officiate. Burial will follow in St. Joseph Catholic Cemetery. Memorial contributions may be made to St. Joseph Catholic Church or Seneca County Opportunity Center.